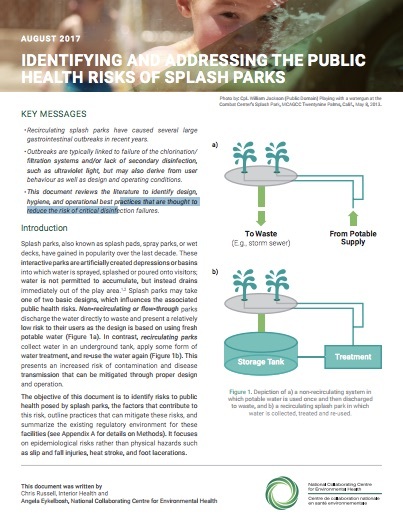 This new NCCEH evidence review aims to identify risks to public health posed by splash parks, the factors that contribute to this risk, outline practices that can mitigate these risks, and summarize the existing regulatory environment for these facilities. It focuses on epidemiological risks rather than physical hazards such as slip and fall injuries, heat stroke, and foot lacerations. To learn more, and download this review, click here.